Call us for Shipping Quote Outside U.S. The Country Living Grain Mill was designed with you in mind. With it, you will enjoy milling your own grains and legumes. Say goodbye to commercial additives and fillers in your breads, pastries, and other baked goods! 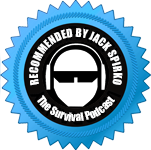 You can easily set the fineness or coarseness of your mill-output with simple adjustments. The Country Living Mill will save you money for decades to come as you produce your own nutrient dense fine-flour and coarse cracked-grains. 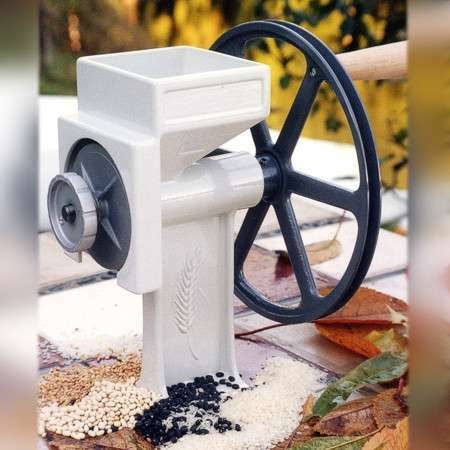 The Country Living Grain Mill is convenient, durable, easy to clean, and easy to use. Function perfectly meets form and it is crafted with future generations in mind. The body is constructed of hand cast aircraft-grade aluminum, protected with an FDA approved food-grade white powder coating. This means that you can rest assured that you will not add unwanted fine metal or stone into your milled products, unlike other mills. The easy dial self-locking adjustment allows you to mill worry-free of loose parts as you work. Its large flywheel makes milling simple and its large hopper holds up to 2 lbs. of wheat. The oversized 5” grinding burr plates perform flawlessly, making flour of any dry grain and legume. The seven-inch solid-wood handle provides an ergonomic simplicity and easily attaches to the large V-groove flywheel. The Country Living Mill’s industrial quality and ease of use is what sets this mill apart from other hand mills. Double-sealed industrial armored ball bearings and its hand-cast solid aluminum body give it the strength to last many lifetimes. Now other grain-mills are following the trend and using ball bearings as the Country Living Mill. With the versatility to handle amaranth, beans, corn, peas, wheat, and more, the Country Living Mill can be configured with an auger specifically designed to handle larger beans and corn-grain. 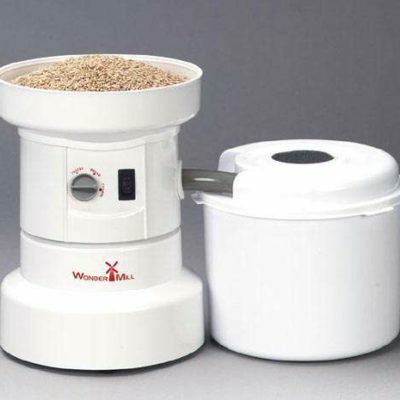 Enjoy all of your favorite dry-grains and legumes with this mill. Why be limited to choosing either a manual grain-mill or an electric one? The Country Living Grain Mill allows you to decide whichever mode you prefer. The cast-iron V-groove flywheel was specially designed to accommodate a pulley-style belt. The belt can be attached to another flywheel attached to a motor, or to a manual contraption of your choosing, like an exercise bike! More great accessories to be used with the Country Living Grain Mill include the hopper-lid, hopper-extension, the power-bar, and the wall mount. 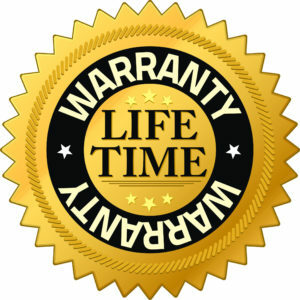 For complete warranty information, please visit the manufacturer’s page HERE. Be the first to review “Country Living Grain Mill” Click here to cancel reply.